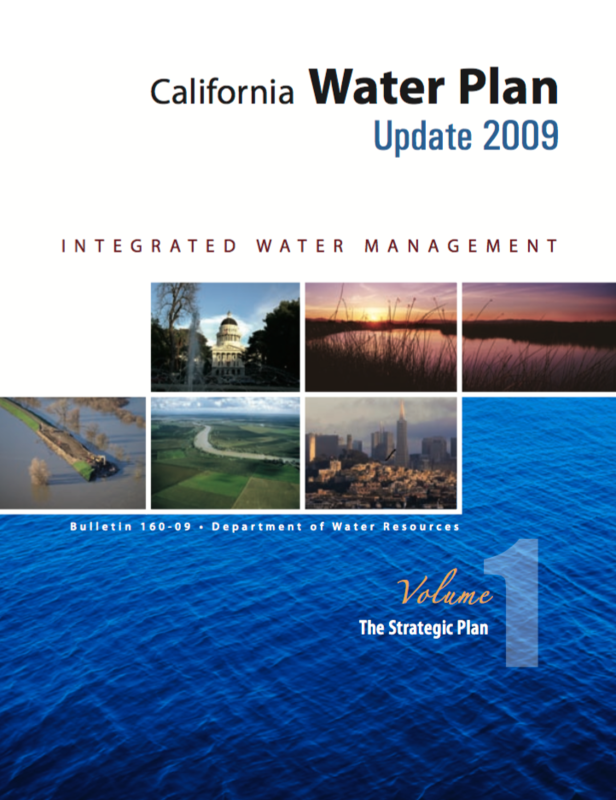 California Water Plan Update 2009 presents the latest statewide strategic plan for water management - a roadmap to year 2050. Updated every 5 years, the California Water Plan provides a framework for water managers, legislators, and the public to consider options and make decisions regarding California's water future. Our goal is to meet Water Code requirements, receive broad support among those participating in California's water planning, and create a useful document for the public, water managers and planners throughout the state, legislators, Tribes, and other decision-makers. The Update is comprised of five volumes: Volume 1 - The Strategic Plan; Volume 2 - Resource Management Strategies; Volume 3 - Regional Reports; Volume 4 - Reference Guide; and Volume 5 - Technical Guide.